They said in a statement: “We continue to engage like-minded countries as well as regional and international partners on a resolution to the crisis. We are seized by the unacceptable persecution of hundreds of thousands of people, including the Rohingya, and other religious and ethnic minorities, and particularly women and girls. These are crimes against humanity. It is why, in February 2018, we have sanctioned a key military leader responsible for these crimes, and we continue to speak out in defence of human rights. “Canada was one of the first countries to respond to this humanitarian and security crisis and remains one of the top global donors. In November 2017, Minister Bibeau traveled to Bangladesh to witness the devastating impact of the Rohingya refugee crisis and assess the best ways for Canada to assist. In advance of the upcoming monsoon season, we announced on March 16, 2018, $8.15 million in funding for emergency preparedness and assistance for Rohingya refugees and host communities. This brings the Government of Canada’s total humanitarian assistance contribution to $45.9 million since the beginning of 2017. During the eligibility period of the Myanmar Crisis Relief Fund, Canadians also generously donated $12.5 million to charities. “We can and must do more. That is why we will continue to engage at home and abroad over the coming days and weeks to register our deep concern about the crisis and to seek a path forward with the international community. THE Burma Task Force Canada welcomed the recommendations made by Rae and noted that he has made a number of concrete recommendations that align with what they have been advocating for the past few years. 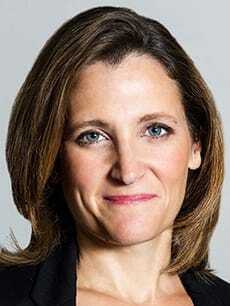 * The Canadian Government should take a leadership role in the international community and ensure that it provides support to the United Nations and other organizations working out of refugee camps in Bangladesh. * The eventual return of Rohingya refugees to Myanmar must be predicated upon the implementation of recommendations made by the Kofi Annan Commission. The return of Rohingya must be voluntary, and secure; it should be overseen by an international presence. * The Government should commit $150 million per year for the next four years to provide humanitarian aid and educational programs for Rohingya impacted by years of persecution. * There should be discussions among the international community leaders about accountability, especially in regards to the Myanmar military’s violations of international human rights laws and the Convention on Genocide. * We also welcome Mr. Rae’s suggestion to create a Rohingya Working Group within the Government to ensure that the Rohingya crisis remains a top priority for Canada. * Canada should grant Rohingya refugees legal status and allow them to resettle in Canada. However, as Mr. Rae mentions in his report, this will by no means be an adequate solution to the Rohingya crisis.